UNIMAGINABLE One picture, One week, Once a month. UNIMAGINABLE aims to emphasize the work of photographers who report on Human Rights and Discrimination issues. 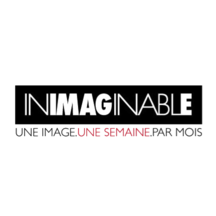 UNIMAGINABLE is lauching a call for projects in order to give the photographers the opportunity to develop, finance and to display the most emblematic image from their reportage. UNIMAGINABLE helps spreading their stories, in order to move, question and act as a "permanent watch". A photographic Amazonian road movie in a land of contrast, often neglected but always mythologized, Amazon is one of the last areas of freedom. A world where one can follow his quest at the expense of the laws, the environment and sometime himself... Be part of the adventure. National road 2 created in 2003 allows the opening up of the eastern part of Guiana, creating a direct access from Cayenne to the Brazilian border. Brazil is working to expand it and is now up dating of BR156 to new standards, this 600 km long track connecting the border to Macapá to the mouth of Amazon river. The building of a bridge over the river connects French Guiana to the Brazilian state of Amapá and over all, Europa to Mercosul. The bassin of Oyapock remains the cradle of many different communities : Amerindians, creoles or Brazilian who hardly accept the reality of the border, living indefferently on left or right side of the river. European Eldorado, French Guiana is very attractive. Today, the geopolitical bridge over Oyapock becomes a barrier in a free circulation space. Starting it up means to stop goods which do not comply to EEC standards and clandestine travellers, that is to say the most part of the trafic. On one side of the Oyapock sits a lazy tropical village, on the other side, a human anthill. Each day, attracted by the Guianese salaries, tenths of clandestine brazilian workers crosses the border while guianeses are going in the opposite direction to obtain low prices supplies on the Brazilian side. Saint Georges de l'Oyapock, 4000 inhabitants, 190 Km far from Cayenne it takes only 12 minutes on a dugout to get to Oiapoque. The population of it's brazilian tween is five times more important, but minimum salaries are four times lesser. On the 7th of each month, for the wellfare payment, St Georges comes to life for 48 hours, merchants bustle about and cash machines run out of steam. On the square, rhum drinkers of administration fulminate against the unemployed beer drinkers… Meanwhile, nothing. Facing Saint Georges, a boomtown, lively and mercantile, overrun with mud or dust, never rest. The street walkers don't look at all like glitterous cariocas. They come from the underprivileged north, to try their luck at the border in a quest for the european Eldorado. For the most of them, adventure stops at the footstep of the bridge. When they get there, they are allready broke, their savings used for the trip. The men goes to work as garimperos in the guianese forest, from where they are regularly expelled. The young women sell their charms to guianese tourists seeking low prices sensations. The Amerindians who live along the Oyapock, believe in the spirits world and superior men able to transform into animals, their children are scolarised on one or the other side of the river, an administrative border they have allways ignored. I have initiated my work in this area in 2003, at the occasion of the building of a first bridge, over the river Approuague, connecting Cayenne to the Brazilian border by road. Finaly, saturday may 28th 2011, around 10.30 PM, the jonction between the two banks of the concrete roadway over Oyapock river becomes effective. The so often postponned work is now achieved. Today, the bridge is ready but the road is not, delaying the inauguration wich should take place by the end of 2012 or at the beginning of 2013. 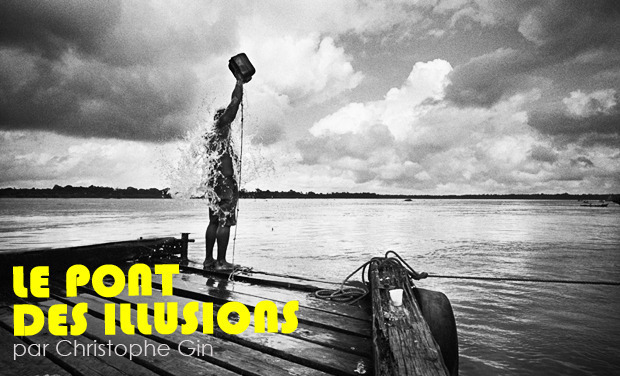 LE PONT DES ILLUSIONS take us into an tropical road movie, from Cayenne to Macapá, on the track of the new european mirage in the heart of Amazon. Christophe Gin, I am a photographer. The manichean vision, in which the world comfortably contemplate it’s self-reflected image, Good against evil, the brave guys Vs the mean guys, this borrows me deeply. This is probably why I let so easily the practice of photography catch me. My first photographic essay, Nathalie, a poverty behaviour ( 1994-2001), explores the mechanisms of urban povery at the dawn of XXIst century. Paris 1994, my editorial work for the press often remains limited to the observation of a certain situation. I ask myself about the logic wich prevails to the birth and perpétuation of this poverty I have to photograph. To answer this question, I decide to concentrate on a « slice of life », I meet Nathalie who accept my presence and allows me a few months later to share her daily life, photographically. This adventure last for seven years. At the end of this photographic in camera, I must breathe and also, I don't want to lock myself to a style by using over and over the same process. I have tried to achieve this approach with Nathalie, pushing it to it's limits, and now I need new experiences. I shall look for new horizons, finaly french Guiana acts on me like a magnet. In my second essay, Poors Money (2001-2006), I document the life of the gold-diggers, mostly poor people without no real other possible choice. I get into something very archaic, in a mythology of that makes animate the human kind , a vast space where one can chase his hown dreams with no worries for the law, for the nature or for himself. No moral judgment, these men teach me life. Europa is discovering ecologie, the amazonian executioners educate me to the wildness of the forest. In my third essay, Terras incógnitas (2007-2012), I start a work about the conquest of territory. Much more than a myth, Amazon is before all a fast moving human frontier. Brazilian army put forward national security to participate to it's occupation in the 60es, the church do the same in the name of God, The state and the market rush in it for the sake of economic development. There, one live rocketed toward colonisation. Work in progress. My work is distributed by Picturetank. This process is new for me and by joining this Amazonian road movie, you will participate to an alternative financing mode. Your support will allow me to achieve this project, innitiated in 2003, at the moment of the opening of this unprecedented road link between France and Brazil. Photo enthusiasts will obviously find their interest In this project,, but also those who whish to join us without preconceived idea or exessive romantism, into a discovery of the pragmatic reallity of the amazonian bassin. No 5 stars hotel or first class ticket, in the place where i take you to, the buses, duggouts or the food are the same for everybody (almost everybody). I sollicit today the kisskissbankers community to be able to complete this photographic work and to show you an exerpt from this reportage exposed on billboard. The collected funds will be used to support production expenses for the totality of the project: Execution and billposting. No need for a mosquito net to participate to the adventure, it's enough to achieve this fund rising together. Pack n°1 : Your name on the acknowledgements page of the website et our many thanks to join the adventure ! Pack n°2 : Pack n°1 + A digital postcard. Pack n°3 : Pack n°2 + An unreleased audio film (3mn). Pack n°3 + Your portrait on the Oyapock bridge. Send an ID photo and get your picture on the bridge of illusions. SPECIAL REWARD FOR EXPERTS : Pack n° 3 + A couac bag (made of toasted cassava root semolina). For many it is the only basic food in the rainforest. Prepared with a can of or a bowl of black beans. Pack n°3 + A jar of guiana jam : mango - old rhum. Pack n°3 + A piece of Galibi, Karipuna or Palikur jewelry, made by an Amerindian community based in the Oyapock River. A pair of rubber boots (size 42) used for this Amazonian road movie. Pack n°4 : Invitation to the launch evening : a private projection of the features. Pack n°4 + A collector T-Shirt of the project. Pack n°4 + An explorer's hat to look like G.I. Joe. You'll also have to accept to wear it with a short of course. Pack n°4 + THE explorer's hat.... and THE khaki short. Pack n°4 + one bottle of old guianese rum or one bottle of brazilian cachaça. A worn bagback of the French Legion used in the Guiana rainforest. A portfolio of 5 archival exhibition quality print 10 x 15 cm from the project, signed by the author. My travel book with an archival exhibition quality print 13x18 cm. The Amerindian maruana. The maruana or "Ciel de Case" is a round piece of wood with animal patterns. These animals are drawn from the Amerindian symbology (tortoises, anteaters, snakes, frogs, fish, urticating caterpillars and molokot - the Spirit of the Water). It is used to repel insects and other unwanted animals, as well as their spirits: it is a symbol of protection for all those who sleep under it. Workshop > Photography : "A picture story". Four days workshop in Paris with Christophe Gin. All participants need to bring a laptop, a digital camera and a portfolio with two to three series (digitale files). Two sessions with 8 participants will be held. One archival exhibition quality print from the project 30x40 cm, to choose among 3 propositions, signed. It is framed on matt coton paper. One archival exhibition quality print from the project 40 x 60 cm, to choose among 3 propositions, signed and numeroted in 30 copies (COA). It is framed on matt coton paper. One archival exhibition quality print from the project 60x90 cm, to choose among 3 propositions, signed and numeroted in 15 copies (COA). It is framed on matt coton paper. SPECIAL REWARD FOR YOUR ORGANISATION : Your logo is associated to the project and a space is dedicated to our sponsor on all communication supports : publications, projections, exhibitions. Unforgettable 10 days trip in Amazonia between Cayenne and Macapà. The logo of the organization associated to this project + the right to use 5 pictures, royalty-free, for your internal publications. The logo of the organization associated to this project + the right to use 5 pictures, royalty-free, for your internal publications. The photographic exhibition of the project is available to you for external communication.